See the tiny knots? Such texture! Zanshi is a Japanese word which means “vestige,” or “leftover”. Zanshi textiles were woven from the extra threads which remained after looming fixed pattern weavings. 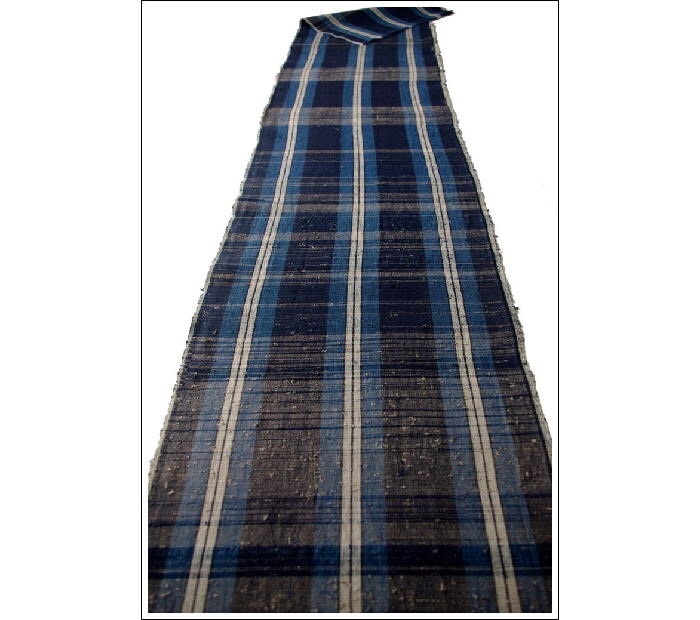 These limited quantities of leftover zanshi threads were unable to be utilized, because there were not enough of them to make another weaving of the same pattern. Thus, these vestige threads were used to weave wonderful one-of-a-kind mixed threads Japanese Zanshi textiles. I got all of this from some random internetting… found this particular definition and photo here: https://www.kimonoboy.com/textiles/popup_folder2/zanshi-514.html. It made me think of how we can make “imperfections” either a problem, or part of the beauty, of a piece. I love the idea of the thrift involved in Zanshi, the time spent collecting when there is something to be collected. I like the quiet contemplative nature of knotting it all together, of saving the thrums and leftovers and un-knitted bits and pieces. Weaving has always been for me a type of meditative practice. There is a kind of grace in the Zanshi – the process of collecting over time, before and after other projects, and then there is the knotting, the quiet piecing together from many into one, all of this before sitting down to weave them all together. The fact that you then can make something beautiful and functional out of it… that is a gift, isn’t it?